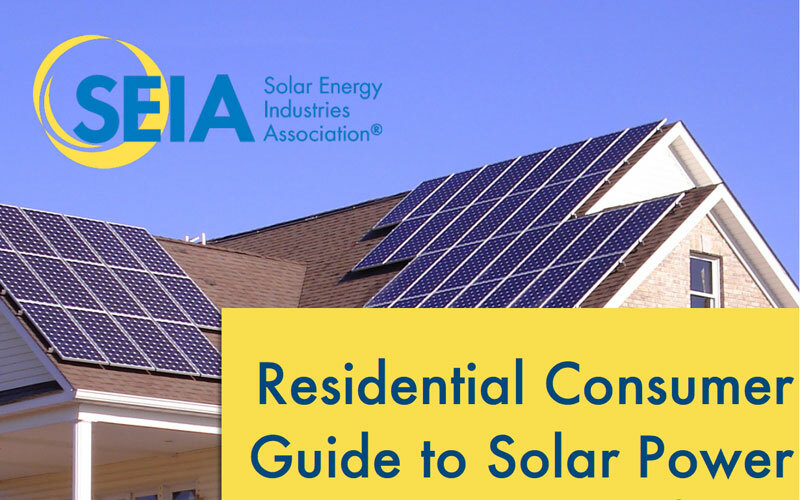 WASHINGTON, D.C. – To advance efforts to educate residential solar consumers across America and pave the way to a positive solar buying experience, the Solar Energy Industries Association (SEIA) launched an updated SEIA Residential Consumer Guide to Solar Power. Available online, the free guide offers those interested in going solar a one-stop shop to better understand the basics of solar energy and ownership options. It includes key questions to ask solar installers before entering a transaction. The guide is a result of a joint effort of the leading companies across the solar industry and goes hand in hand with SEIA’s existing Solar Business Code by which all SEIA members abide. Read the entire news release here. This entry was posted in Installation, Nebraska / Midwest News, NewsBlog, Solar Energy Education and tagged 2018 SEIA Residential Consumer Gude to Solar Power, questions to ask an installer, SEIA Guide to Land Leases for Solar, SEIA Solar Business Code, Solar Energy Industries Association (SEIA), Solar Land Lease: Considerations in Nebraska on June 28, 2018 by Helen Deffenbacher.